I know its been a few days since I posted to my blog. 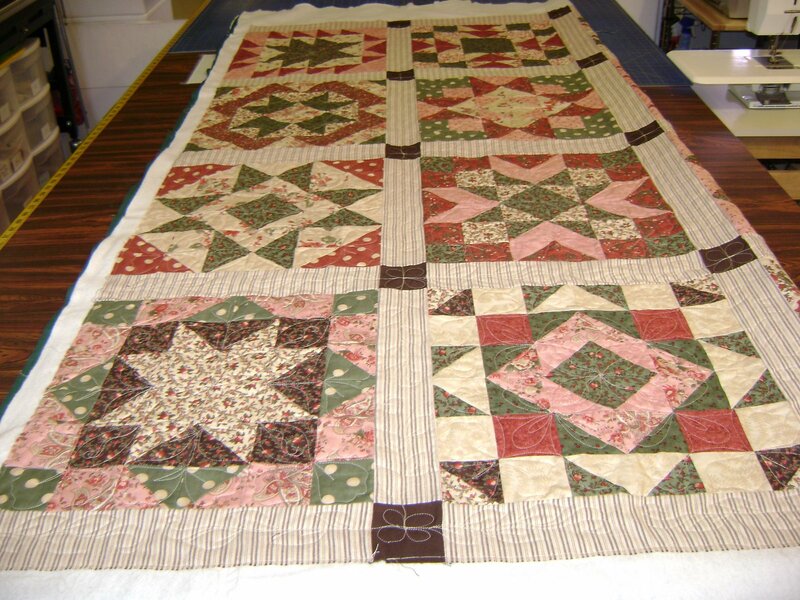 I’ve been busy changing this quilt…. To be quite honest I hope I never see that quilt again…. ever! 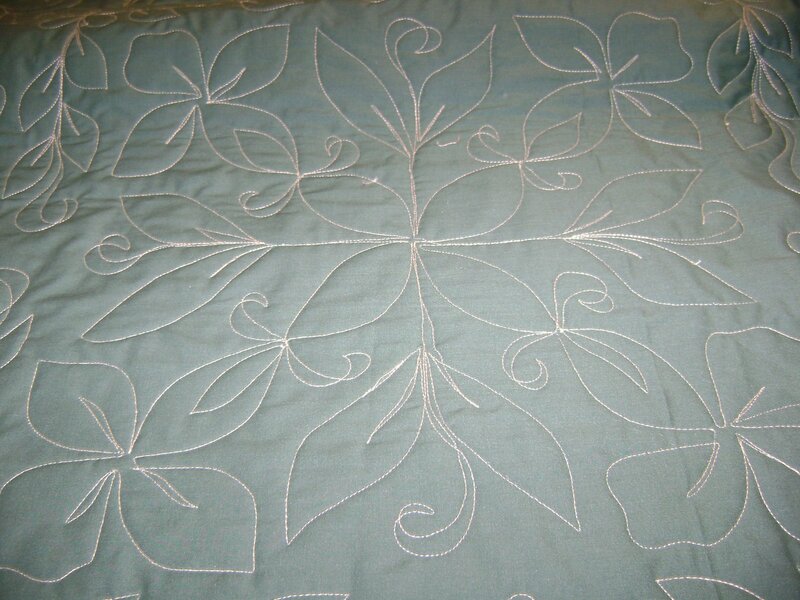 It’s extremely difficult to pick out 4400 square inches of stitching and replace the border and stitch it again. That quilt has been nothing but a bad experience from the start. It’s experiences like this that has me feeling like I want to throw up my hands and quit quilting. Thank goodness these experiences rarely happen. 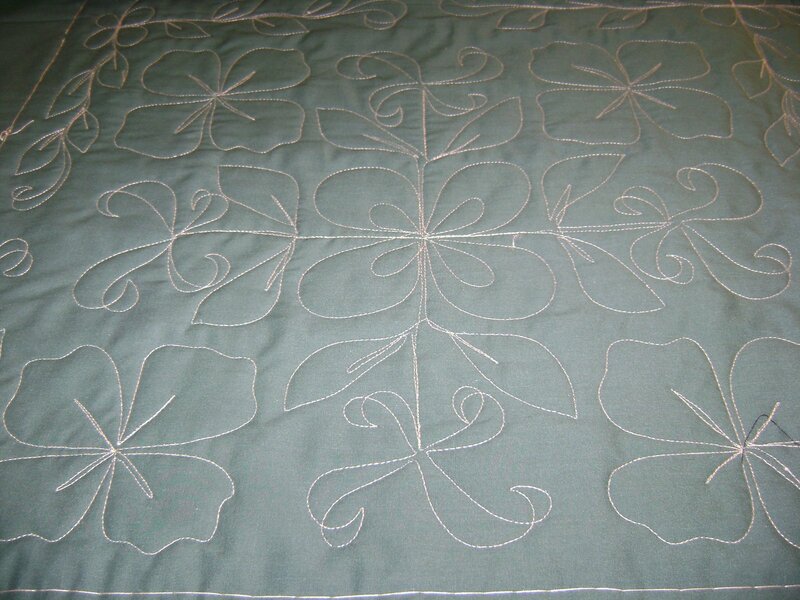 I’ve worked on a couple of quilts that can’t be shown until after March. One is my guild challenge quilt for AQS and the other is the animal fabric challenge for MQX. 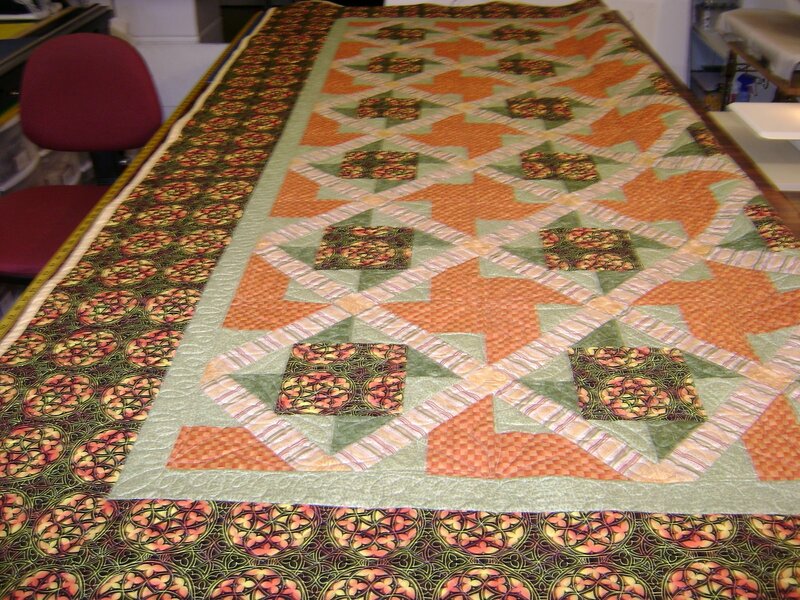 The guild challenge is completely pieced and partially quilted. I’ve completed most of the piecing on the animal fabric challenge and its duplicate. I’ve told Janet-Lee that after the show the SPCA there in NH can keep it to raise more money for their charity. 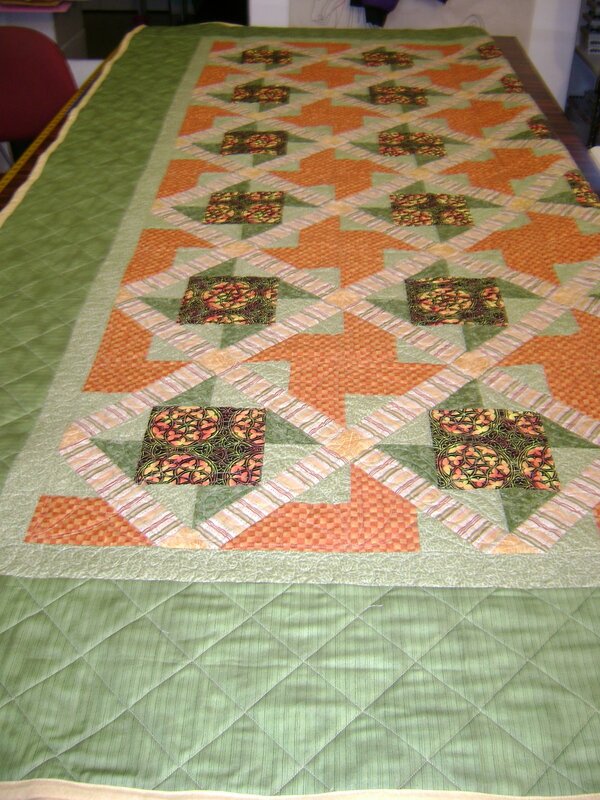 The duplicate will be given to the SPCA here in KY.
Finally…… yesterday I got around to more normal quilting. This is today’s finished quilt. And a view or two of the back so you can see the quilting better. I know some of the design lines don’t match up perfectly. It had fabric warts in the corners that my hopping foot couldn’t stitch over. In the next few days I hope to put more pictures in my webshots albums. I’ve neglected that work for awhile. Reworking that quilt has put me several days behind schedule. This in turn puts me under a lot of stress to try to catch up again. It simply can’t be done! I won’t sacrifice quality for speed and there are only so many hours in a day…. 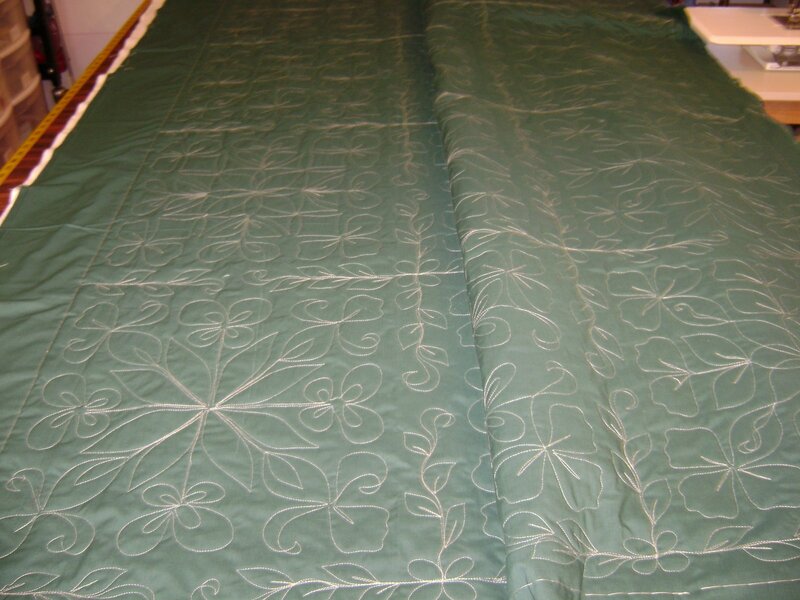 This entry was posted on January 30, 2008 by Anita in Customer quilts 2008, QUILTS - CUSTOMER, QUILTS - PIECING.